Great track by Snake Oil. "I Have the Fury of my Own Momentum," is off the band's newest release; a two track, self-titled 7" EP. 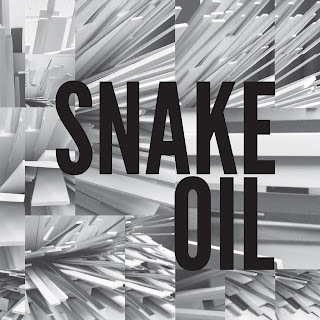 Snake Oil is an instrumental band, and you'd probably guess, judging from their song title, that they sound a lot like Explosions in the sky... well, actually they sound nothing like Explosions in the Sky. There is a slight Post-Rock undertone about the record; however, it seems that the band take more of their influence from groups such as Tortoise and Don Caballero. And, quite possibly, Daybed--a Connecticut band circa 1998. Ha ha, Daybed. I haven't heard anyone say that name in ages.